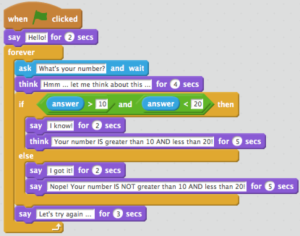 How can Digital Making take place at the intersection of Science, Math, and Computational Thinking? 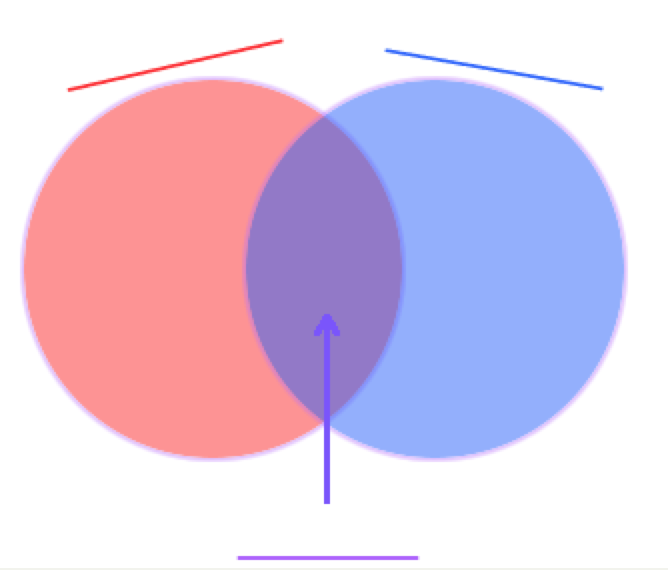 A Venn diagram shows relationships among sets. 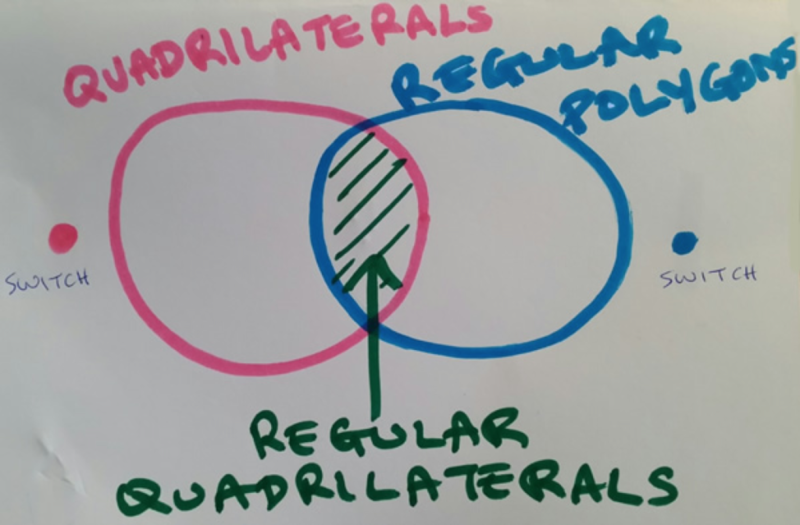 Remember that a quadrilateral is a 4-sided shape. 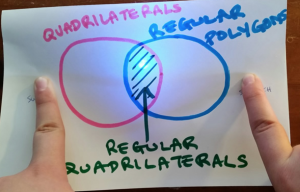 Remember that a regular polygon is a shape with equal sides and equal angles. 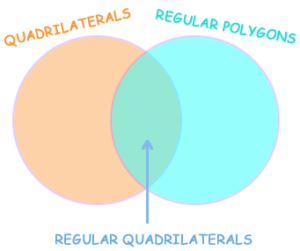 Which shapes belong to the set of “regular quadrilaterals”? 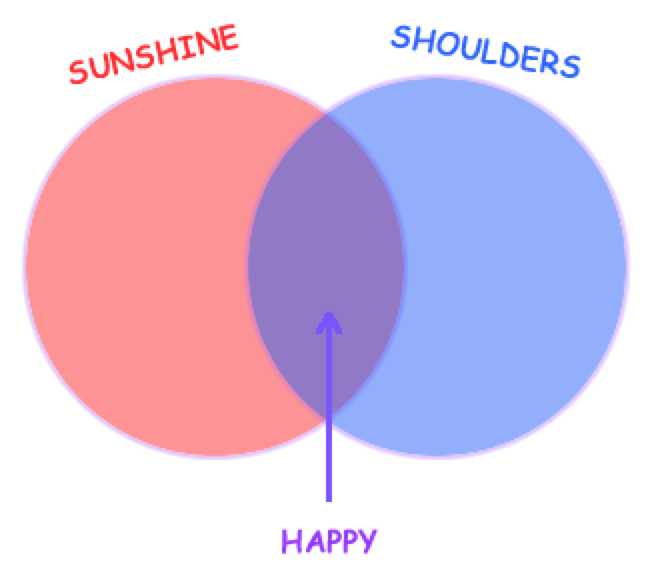 In 1971, the singer-songwriter John Denver released his song: Sunshine on my shoulders. 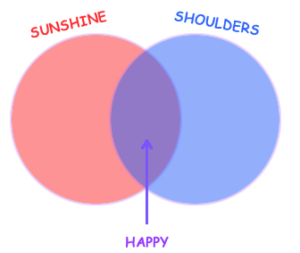 Let’s build the Venn diagram below with a circuit. 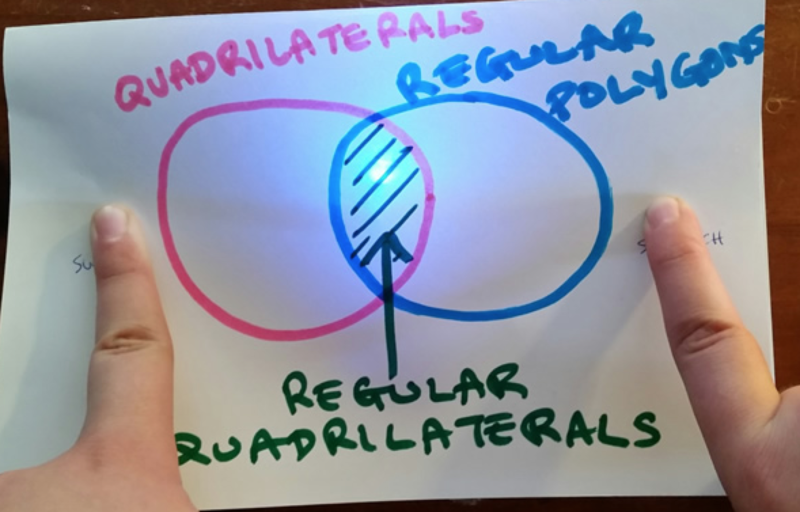 We fold a piece of cardstock in half, and draw the following on the top side. 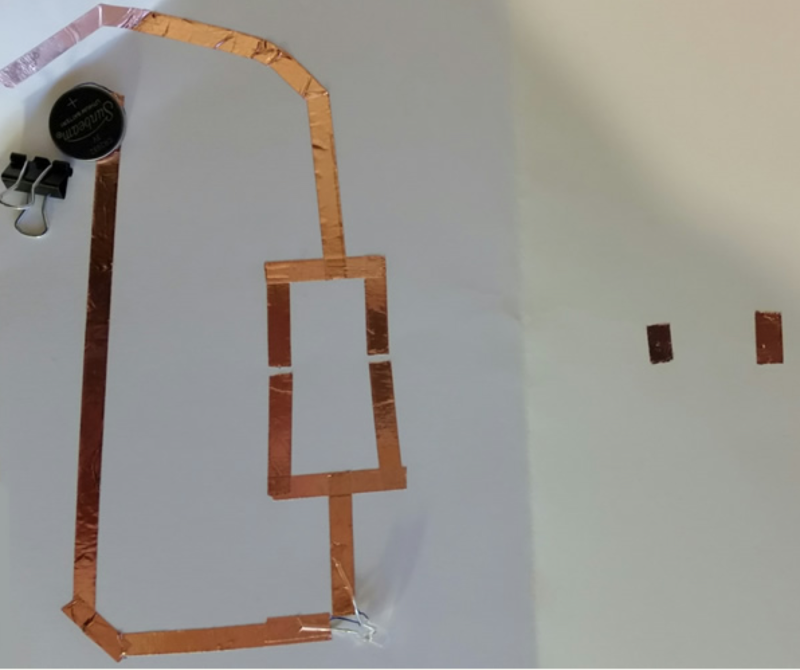 Then, inside the fold, we build this circuit, using: conductive tape, an LED, a 3V battery, and a clip to hold the battery in place. We also add 2 short strips to close the switches when pressed from the other side. When you close the fold and press on the dots (switches), the LED lights up. If you close only one OR the other switch, the LED does not turn on. If you close the first switch AND the second switch, the LED turns on. 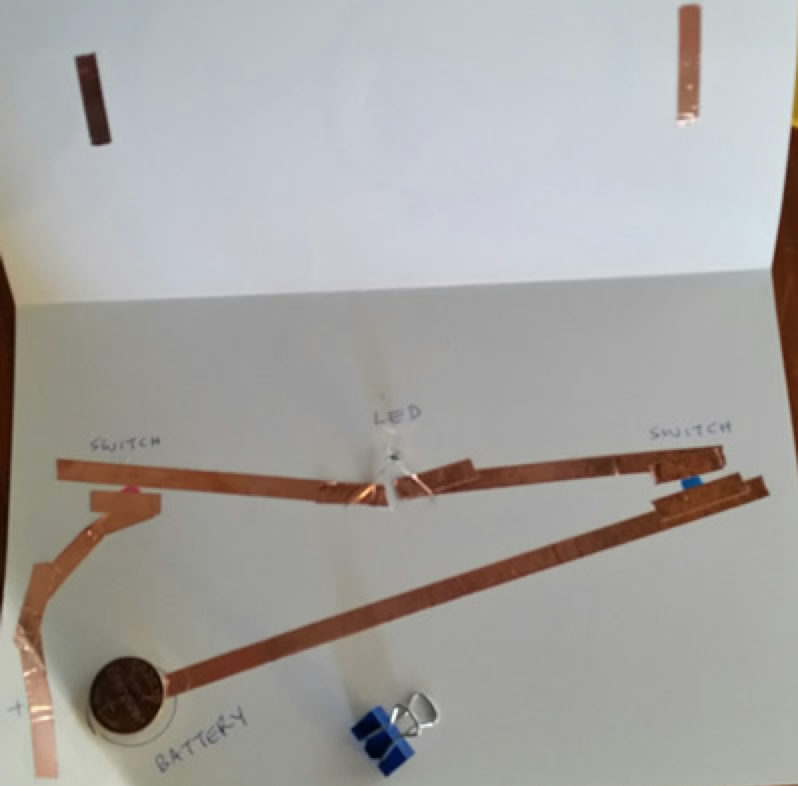 This circuit is called a SERIES circuit. Notice that all the components are in a single loop, so the current from the battery has only one path to follow. 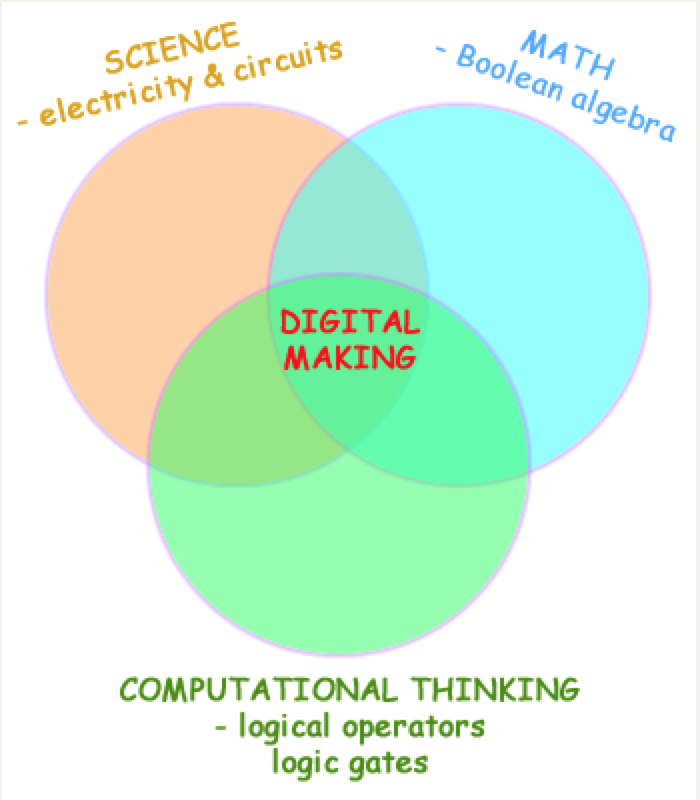 Venn diagrams and series circuits connect to mathematics, science and digital electronics. 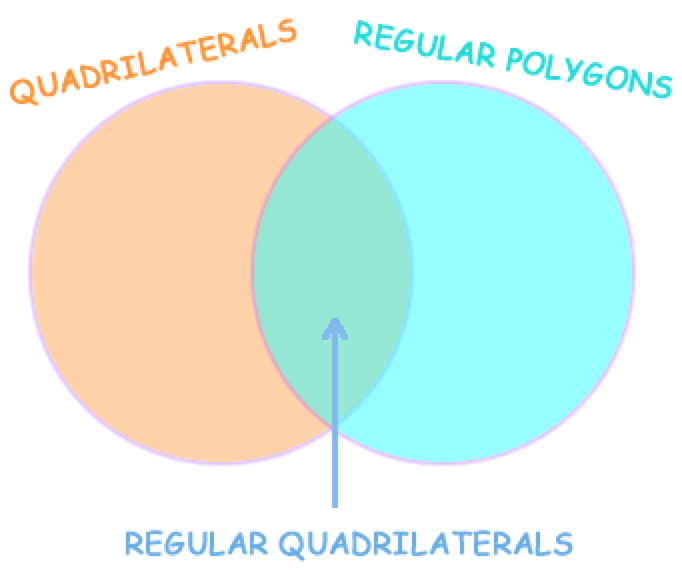 Sets (like “all the quadrilaterals” or all the “regular polygons”) and their relationships are an important part of math. 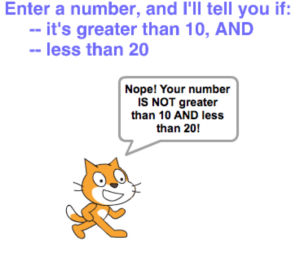 AND, OR and NOT are 3 examples of how we can create relationships between sets. 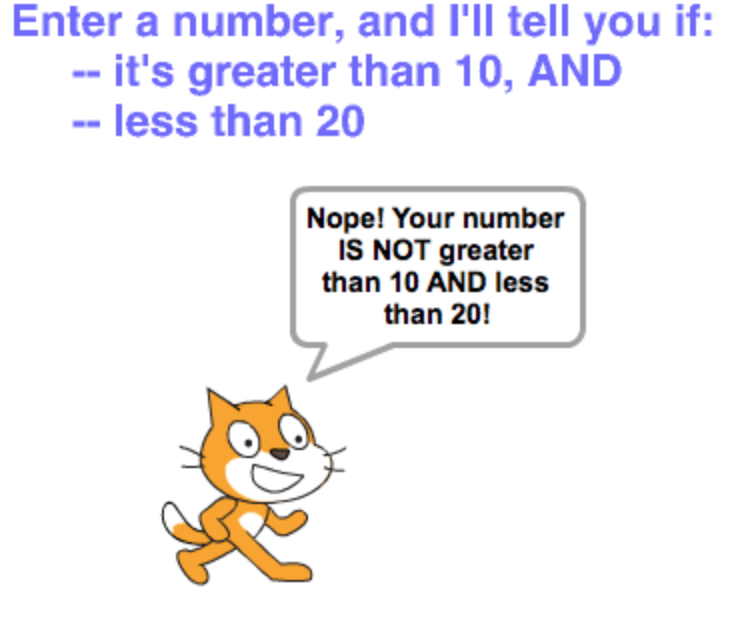 What would be the resulting sets in each of these relationships? All of this is part of the branch of mathematics called Boolean Algebra. In science you study electricity and circuits. The SERIES circuit we looked at above is one example. 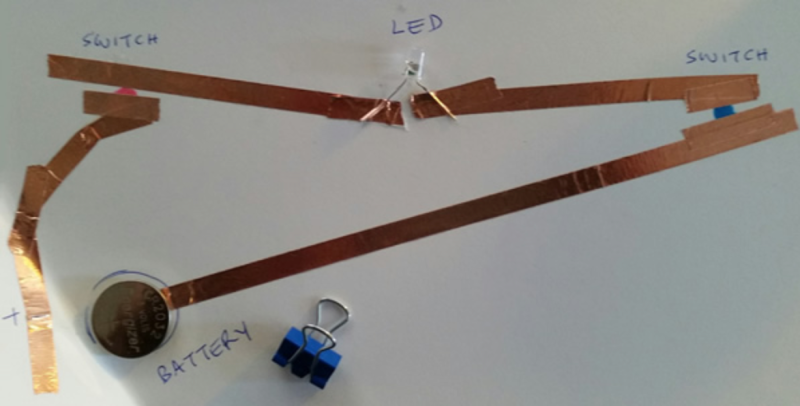 Another example is a PARALLEL circuit, which is shown below. 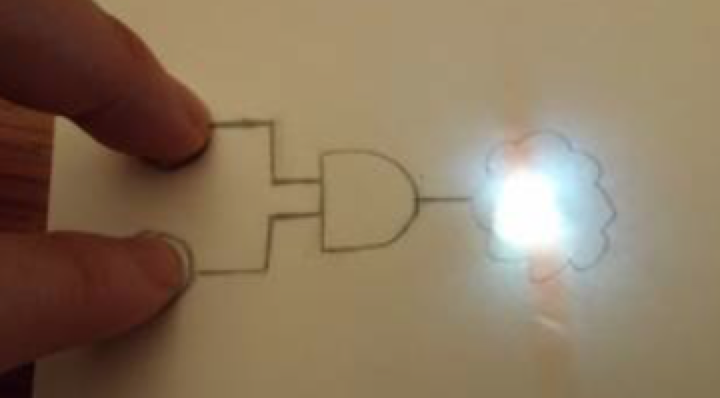 Notice that closing either switch will complete the circuit, and turn on the LED. So, in the SERIES circuit, both the first switch AND and second switch must be closed. And, in the PARALLEL circuit, either the first switch OR the second switch must be closed. Smartphones are smart because they can make decisions. Let’s consider the built-in alarm clock. Suppose you set it for 7 AM. This decision is made using an AND logic gate, illustrated below. 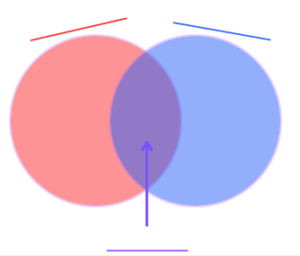 Boolean Algebra, circuits, and logic gates are different forms of similar ideas. Here is Scratch program that decides if the number you enter is greater than 10 AND less than 20. Based on ideas discussed in: Hughes, J., Gadanidis, G. and Yiu, C. (2016). 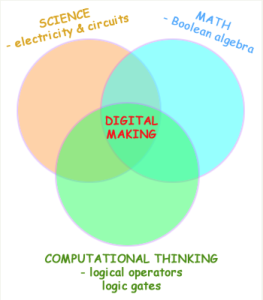 Digital making in elementary mathematics education. 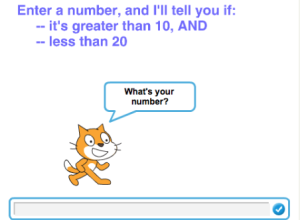 Digital Experiences in Mathematics Education. Information for this page was provided by Dr. George Gadanidis. For more information please refer to George’s website at What will you do in Math today?